On Sunday 27th June, 1976, Air France Flight 139 was hijacked by four passengers shortly after takeoff from a stopover in Athens. The plane was flown to Benghazi in Libya to refuel. It took off again, landing in Entebbe, Uganda at 3.15 am. From the East African nation, then under Idi Amin, the terrorist organization demanded the release of 13 members held by West Germany, Kenya, France and Switzerland, and an additional 40 held by Israel. It had been a tough decade for Israel. There had been the sadistic Munich Massacre of 1972, and the Ma’alot Massacre in May 1974. Both had led to multiple deaths and they were just a few of the terror attacks the young nation suffered. With Entebbe, Israel realised it had to make a point. As its representatives negotiated with the terrorists, with Amin switching between hostage taker and negotiator, Israel planned an elaborate, ballsy rescue plan. That plan became Operation Thunderbolt, later renamed Operation Jonathan after the only Israeli commando who died during the raid. It remains one of the most studied military missions of all time, and is still taught as a guide to rescue missions. What is often glossed over is what it cost Kenya to help the Israelis execute the plan. It cost more than fuel and space at Nairobi Airport, now known as the JKIA, where the Boeings and C-130 Hercules planes landed and refuelled. Israel needed Kenya. Three years before, Kenya and many African states broke off diplomatic ties with Israel to show solidarity with Egypt during the Yom Kippur War. Israel found herself without many friends on the continent, and its likely that the hijackers were partly banking on this in choosing Uganda as a destination. A few months before Entebbe, Kenya arrested three Palestinians and two Germans. They were members of the Popular Front, the same organisation that carried out the hijacking of Air France Flight 139. They had planned to shoot down an El Al flight using a SAM-7 rocket. If this sounds familiar, it’s because it is exactly what the Army of Palestine tried to do on 28th November, 2002, in Mombasa. Kenya handed the five terrorists to the Mossad who flew them to Israel. Mediating this new relationship was the only white minister in Kenyatta’s Cabinet, Bruce McKenzie. Using his airplane, McKenzie faked an in-flight emergency and circled the airport as Mossad agents inside took multiple images. If the mission was to work, Israel would need a safe hub to land and refuel its planes. But with Amin in Uganda and strained relationships across the region, asking anyone to take that responsibility was asking them to accept the repercussions. From the start, Israel banked on Kenya’s icy relationship with Amin. But they needed to be ready if Kenyatta wouldn’t allow the planes to land and refuel. 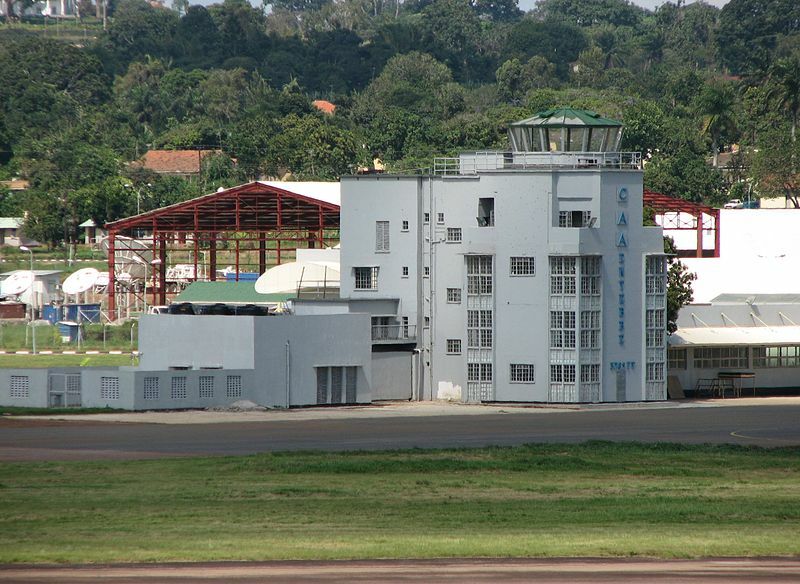 The first contingency plan was to steal fuel from Entebbe as the main operation went on. Then they would fly the entire 2, 500 miles back to Israel. The second plan, even crazier, was to commandeer Nairobi Airport for long enough to refuel the planes. Whether this could succeed would depend on how fast Kenya responded to such a violation of its air and land space, and airport facilities. But it turned out that the contingency plans wouldn’t be necessary. The commander of the unit that carried out the raid flew to Nairobi to negotiate with Kenyatta and his government. Not only was the Kenyan government willing to help, it went to great lengths to help Israel. It shut down the airport gate. Then the lounge was turned into a makeshift field hospital complete with an operating table, anesthetic equipment, and oxygen canisters. Kenyan army and paramilitary units then covered the entire area with enough layers of security to respond to any retaliation. When the 36-minute raid was done, there were 20 dead Ugandans. All 7 hijackers were killed, and three hostages died. The commander of the mission, Jonathan Netanyahu, died within minutes of landing. Still, it was, by most measures, a successful mission. 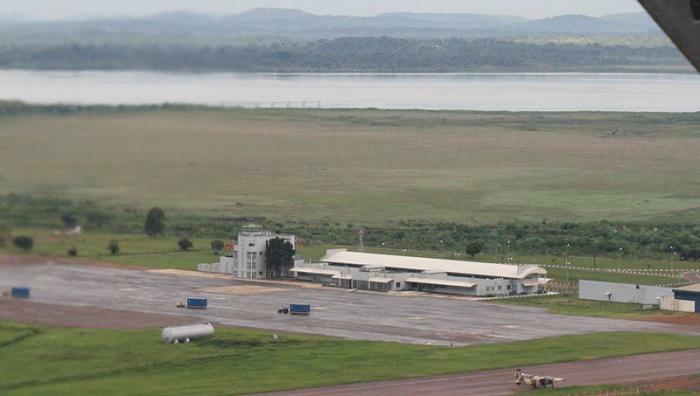 To slow down any military response, the Israelis also destroyed 11 airplanes parked at the airport, wiping out a quarter of Uganda’s air force. Amin was mad. He knew he couldn’t successfully win a war with Kenya, or even with Israel. Instead, he turned his anger to innocent civilians. Some of them were the air traffic controllers on duty at Entebbe that night, and others who played a peripheral passive role in making the mission the successful. In retaliation for Kenya’s role in the mission, he massacred hundreds of Kenyans living in Uganda. The number has been quoted as high as 245 within the first weeks after the attack, twice the number of hostages Israel rescued at Entebbe. But Kenya chose to play as if Israel had forcefully used its most important airport. Daniel Moi, then the Vice President, called for the National Assembly to condemn the actions of the Israelis. Secretly, Kenya asked the United States to help bolster defenses in case Amin attacked. The Americans placed a navy C3 patrol plane at Kenya’s service, and redirected the frigate USS Breary to the port of Mombasa. The most high profile casualty of Amin’s wrath was Bruce Mackenzie himself. Two years after the raid, Mackenzie went to Uganda. He left Entebbe Airport at 4:19pm on 24th May 1978 in a plane flown by Captain Paul Lennox. The plane last made contact with Wilson Airport at 5:58 pm, 17 minutes before it was scheduled to land. A few minutes after that last contact, it blew up mid-air above Ngong Hills. Another event that could have been related is the New Year’s Eve 1980 bombing of the Norfolk hotel in Nairobi. The hotel’s owners, the Blocks, were thought to have participated in Ehud’s negotiations with the Kenya government. The main narrative of the bombing is that it was carried out by the PFLP/PLO as part of their global attacks on Jewish establishments. 20 people died that day. All these casualties combined, it is possible Kenya’s participation in the raid cost more Kenyan lives than the 105 Israeli hostages saved during the raid. Very few were ever accounted for, and their demise remains a deliberately downplayed part of the famous operation.